Who knew some bloodied bandages could look like the book cover?! 1. When Charlie comes to deliver Bella's birthday gift, we see photos of her friends all over her room. BUT she also has photos of her and Edward that are straight-up movie stills from Twilight. 2. Bella's Romeo and Juliet book disappears and then reappears in the same opening scene. 3. The two people walking behind Bella's friends *MAGICALLY* don't appear in the background of the actual photo she takes??? 4. Edward got a fancy upgrade on his Volvo between the first and second movie. 5. 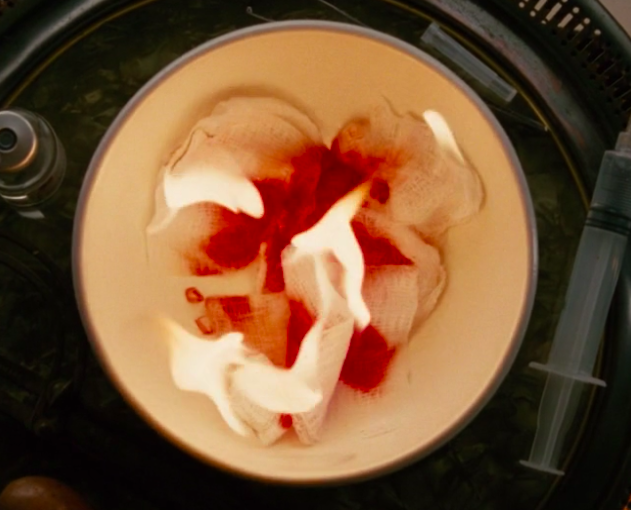 When Carlisle stitches up Bella, he throws the bloodied bandages in a bowl and burns them. 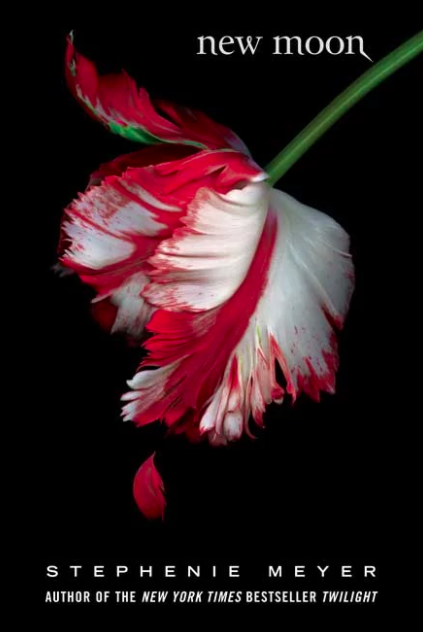 But the image replicates the flower on the New Moon book cover. 6. When Edward breaks up with Bella, the location almost mirrors where he first told her he was a vampire in the first movie. 7. When Bella's depression is showcased, there are fewer and fewer pictures of her friends every month that passes by until there are none hung up on her wall. 8. Bella and Alice's email addresses end in "@me.com" so they're obviously Apple fangirls. 9. Bella doesn't even acknowledge Jessica when she opens up to her about her problems and is NOT EVEN LISTENING TO HER when she walks off toward the biker group. Honestly, Bella is kind of a crappy friend. 10. Face Punch is a made up movie (LOL obviously), BUT you can see an ~actual~ movie poster for it when Jacob and Mike first get to the theater, along with its tagline: "Let's do this!" 11. There's also a subtle (or not-so-subtle?) Burger King product placement outside of the movie theater. 12. Bella and Jacob walk out of the theater and pass by several movie posters. Every single movie they pass is a Canadian film — which makes sense since it was filmed in Vancouver. However, THEY ARE SUPPOSED TO BE IN FORKS, WASHINGTON!!!!! 13. Charlie is shown watching a football game, but it's supposed to be SPRING by this point!!!!! 14. Also, Charlie always drinks the local Seattle brew: Rainier beer. 15. When Bella goes to confront Jacob, she doesn't close her truck door all the way (UM HELLO BELLA IT IS POURING RAIN!!!) but in the next scene, we see it *magically* shut??? 16. Also, even though it is POURING, only the front of Bella's sweatshirt is wet???? 17. 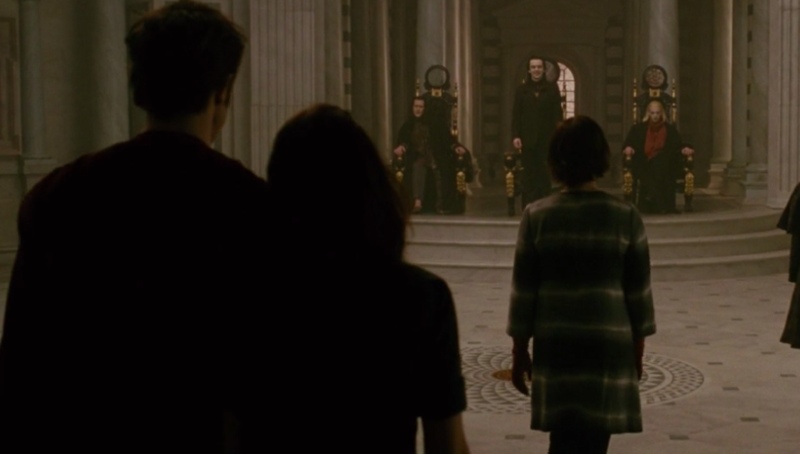 When Jacob comes to Bella's room at night, she's wearing a yellow top. But when she wakes up the next morning, she's in a green top??? 18. Bella and Alice take a flight to Italy, but Virgin America wouldn't fly overseas?!?!?! 19. 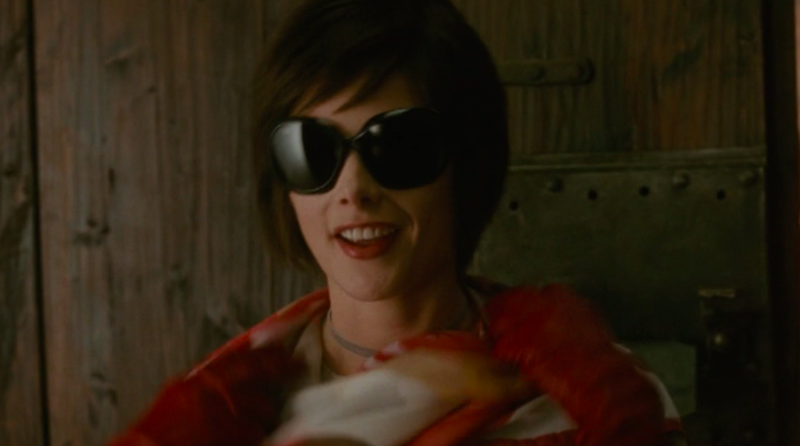 Alice is wearing a scarf and sunglasses when she walks through the door. She takes them off and holds onto them, but when she walks into the ~Volturi laire~ she doesn't have them??? 20. "Ars longa, vita brevis" is written here, which in Latin means "Art is long, life is short" in English. Kinda fitting for this scene though, yeah??? ?